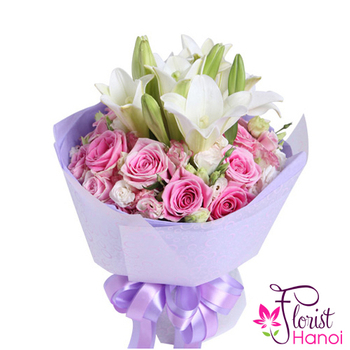 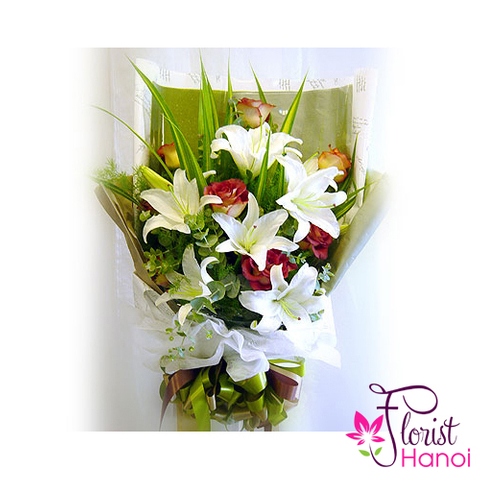 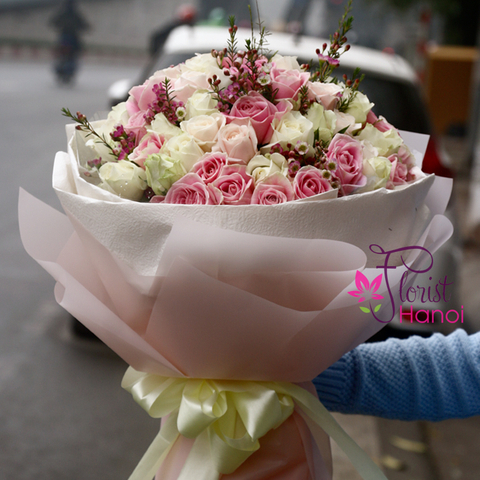 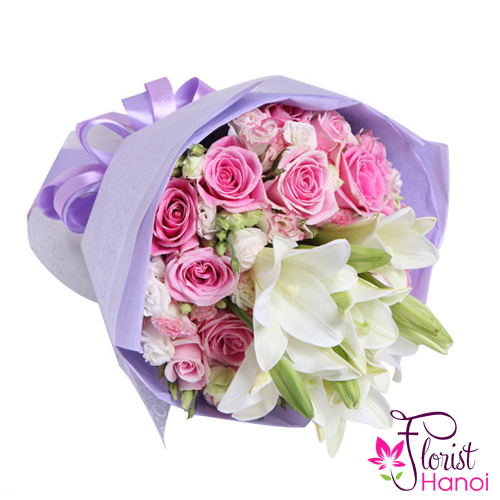 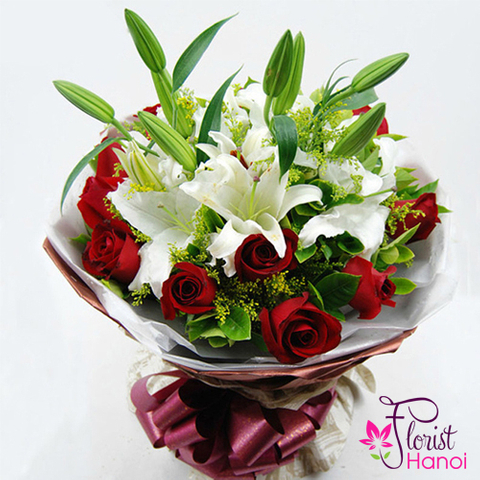 Convey your warmest wishes with this gorgeous, but super fun, white lily and pink roses bouquet. 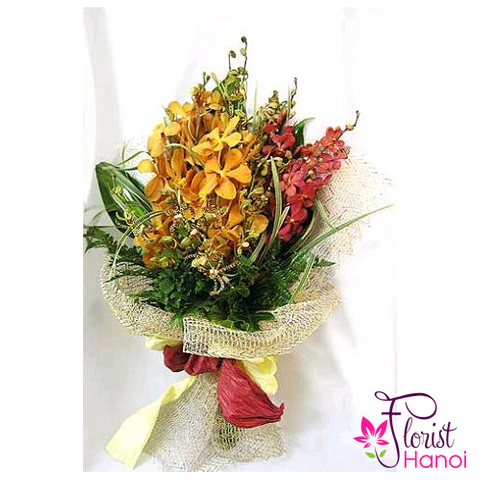 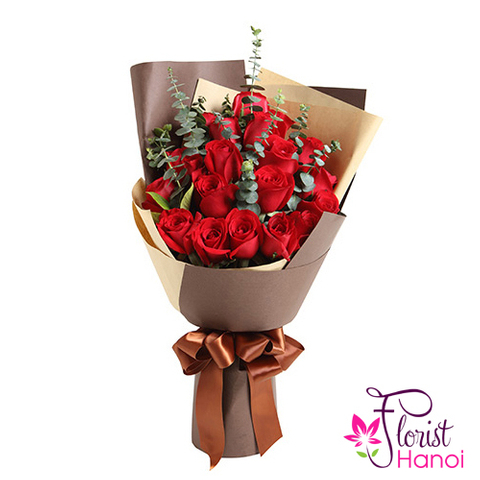 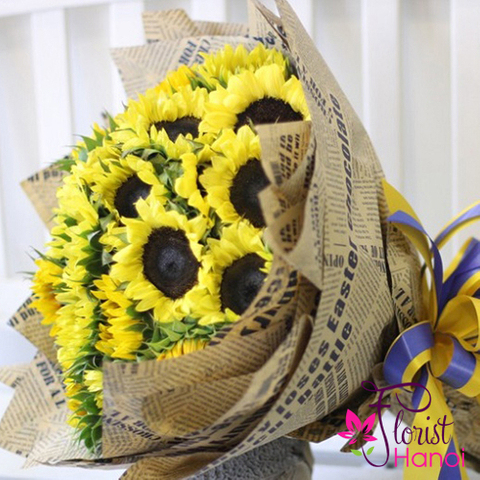 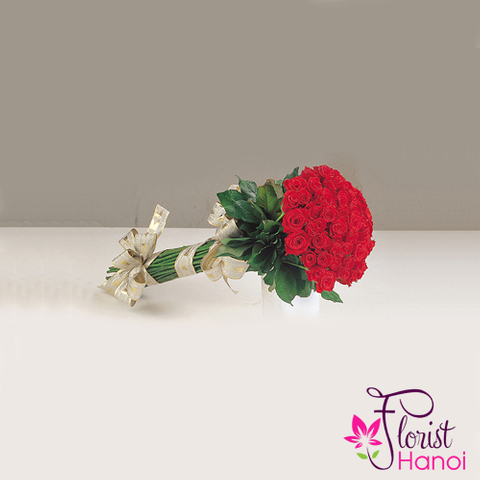 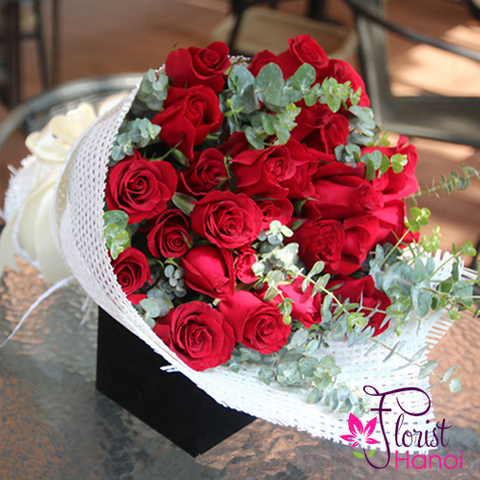 Lush long stem blooms are sure to delight your special recipient whether as flowers for mom, a girlfriend, or just for nayone close to you. 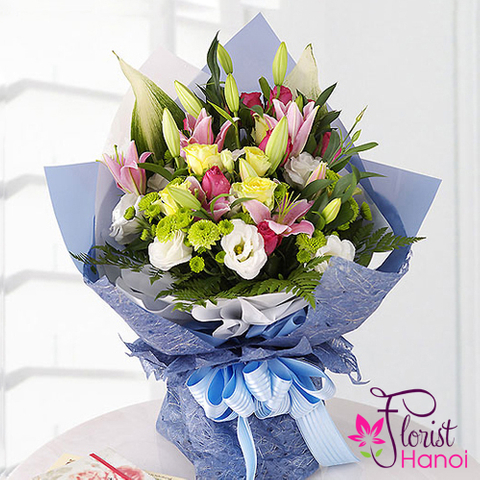 The centerpiece is truly a beautiful rose and lily present that's sure to leave a lasting impression.